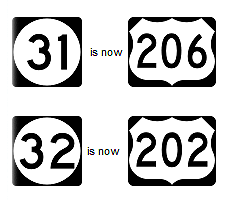 This is a tale of three Charters in New Jersey that make for a great “what happened” story. Let’s first talk about what a Charter is. A Charter is a document, typically signed by the King of England granting rights to a particular area of land to a prospective Governor (or overseer). We have Bedminster NJ, Bridgewater NJ, and Bernards Township (Bernardston) NJ that are of interest because it seems that all three monumental documents were destroyed by fire, never to be seen again…or were they? The Charter of Bernardson is a document authorizing the charter or foundation of Bernards Township back on May 24, 1760. In that time, you’d be talking about Bernards Township including the hamlets of Basking Ridge, Lyons, Liberty Corner, Bernardsville, Far Hills, and West Millington. The question is, where is the Charter today? Bernards Township and Bernardsville were overseen by Sir Francis Bernard who was appointed in 1758 to oversee the Bernards under the New Jersey Governor William Franklin. In July 1760 he was transferred to Massachusetts by the Governor William Franklin, son of Ben Franklin. To the regret of the Loyalists, Sir Francis Bernard was someone they would have rather stayed back in New Jersey. 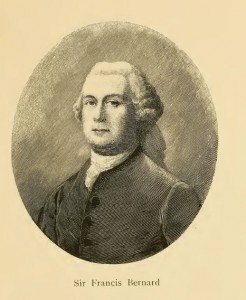 Maybe it was something in the Massachusetts water because it was Sir Francis Bernard that introduced the royal troops to the city of Boston, prorogued the Colonial Assembly for refusing to vote supplies for their support, and so contributed to the volume of grievances that were just more reasons that led to the American revolution. Each year Bernards Township celebrates its history with a grand community-wide street fair and festival called simply Charter Day. The annual event has been held every year since 1995 celebrating the historic signing of the Charter by King George II to Sir Francis Bernard on May 24, 1760. Bernards joined the other two places with the same names in Somerset County, England (Bedminster and Bridgewater, Chartered in 1749). Bernards became the third and final unit of the government in the Northern Precinct of Somerset County. George the second by the grace of God of Great Britain, France and Ireland, King defender of the faith. To all to whom these presents shall come, Greeting know ye that we of our special grace certain knowledge and mere motion have given and granted and by theses presents do give and grant for us our heirs and successors to the habitants of the northerly part of Somerset County in our province of New Jersey within the following boundaries, to with, bounded northerly on Morris County, easterly by Essex County, southerly by Bridgewater Township and westerly by the Township of Bedminster to be and remain a perpetual township and community in word and in deed to be called none but the Township of Bernardston, saving to the Borough of Elizabeth their rights respecting town matters where the bounds of said borough encloses any part of the Township hereby erected except the assessing and levying of provincial taxes and we further grant to the said inhabitants of the Township aforesaid and their successors to choose annually a constable, overseers of the poor and overseers of the highways for the Township aforesaid, and to enjoy all the rights, liberties and immunities that any other township in our said province do or may of right enjoy and these inhabitants are hereby constituted and appointed in the manner aforesaid. To have, hold, and enjoy the privileges aforesaid to them and their successors forever, saving and excepting as aforesaid. In Testimony whereof we have caused these our letters to be made patent and the great seal of our said province of New Jersey to be hereunto affixed. Witness our trusty and well beloved Francis Bernard, Esq., our captain general and governor in chief of our said province of New Jersey and territories thereon depending in America Chancellor and Vice Admiral in the same at our city of Perth Amboy in our said province the twenty-fourth day of May in the thirty third year of our reign and in the year of our Lord one thousand seven hundred and sixty. looked like. Continue reading to find out why. According to various written statements, it seems that the Bernards Charter was destroyed when the Bernards Township Municipal Office (or the Town Clerk’s home) burned during a fire in 1850. The Township keeps meeting minutes going back only to 1851 (at Town Hall). The actual location of the Bernards Twp. Town Clerk is still under investigation but is difficult to research since the Bernardsville News only goes back to 1897. But it is noted that back in that time, it was customary for Town Clerks to keep township records at home. The earliest recorded municipal meeting minutes that still exist in Bernards Township were signed by William R. Wilson, Clerk in 1851. The minutes show that the meeting took place somewhere in Liberty Corner. Further investigation is underway. A writer for the Somerset County Historical Quarterly back in 1916 declared that three of the original charters including Bernardston, Bedminster, and Bridgewater were each destroyed by fire. 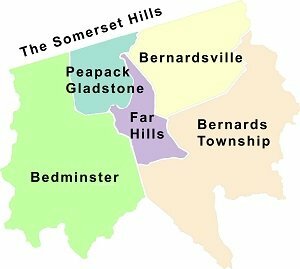 The third Somerset township erected by Royal patent was that of “Bernardston,” it’s date being eleven years later (After Bridgewater and Bedminster) , May 24, 1760. These three townships as thus constituted comprised all the territory of the Northern Precinct, the Eastern and Western Precincts, as mentioned above, continuing to comprise the remaining territory of the county for many years. Respecting Bernards the statement is made that “the records of the township itself are lacking for nearly a hundred years of its corporate existence, having been destroyed by fire at Basking Ridge in 1850.” He again argues correctly that Bernards Township must have been organized between 1758 and 1763, the former being the date on which Francis Bernard became Governor of the state, and the latter the first known mention of “Bernardston.” This appears in the record book of the Presbyterian Church of Basking Ridge, said record book being opened when Samuel Brown had left to the Trustees a legacy (see QUARTERLY, Vol. 2, p. 103). It is unfortunate, indeed, that these charters were kept with so little care and were thus allowed to be destroyed. No official copy of either remains in the county. They were copied for me from the records in the office of the Secretary of State in Trenton. However in the same publication in 1918 comments were written that the Bedminster Charter in fact did not perish in a fire. 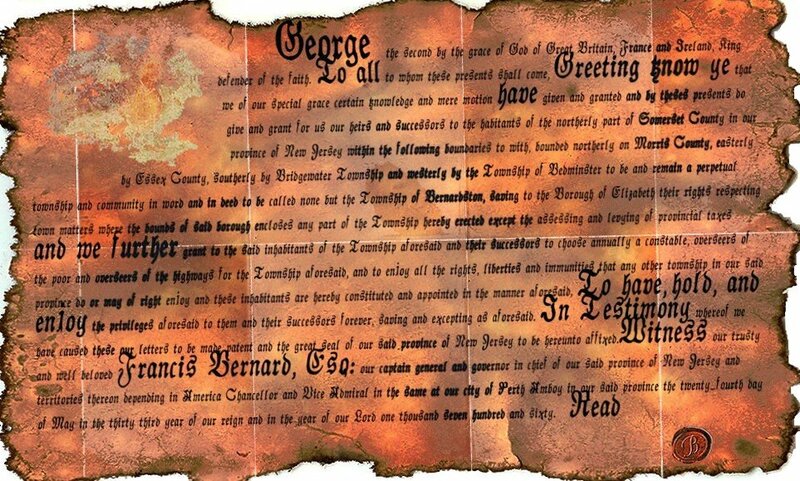 The Bedminster Charter is Found? Similar in its content dates April 4, 1749, the document was thought to have been destroyed in a fire at Township Clerk Aaron Longstreet’s Lamington home in 1845, actually turned up in a Hopewell antique store. There were also fires at the Somerset County Courthouse in 1737 and 1779 so those records were lost as well. The Associated Press reported in January 31, 1989 that the late Malcolm S. Forbes purchased the charter in 1989 from an antiques dealer (possibly H. (Harry) Kels Swan of South Bound Brook), for his personal collection. Mr. Swan was the Curator and President of the Swan Historic Foundation at the Washington Crossing State Park. 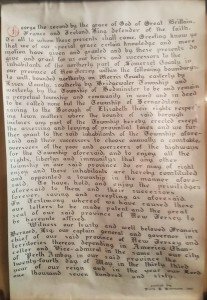 The Charter was displayed in a climate controlled case in the Forbes Offices on Route 206 in Bedminster, NJ. Then Bedminster Mayor Joseph Cirona said the asking price for the charter was between $20,000 to $25,000, but the purchase price was not disclosed. Forbes Inc. of New York City placed the charter on temporary loan to Bedminster Township to display at the Clarence Dillon library for a limited period during the 250th Bedminster celebration in 1999. The royal charter creating Bedminster Township was granted by England’s, King George II on April 4, 1749. 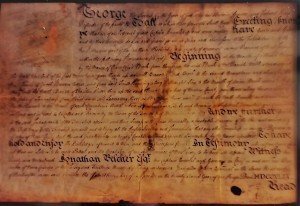 It is one of only two extant New Jersey township charters issued during the reign of King George II; the other is in Stafford Township in Ocean County. 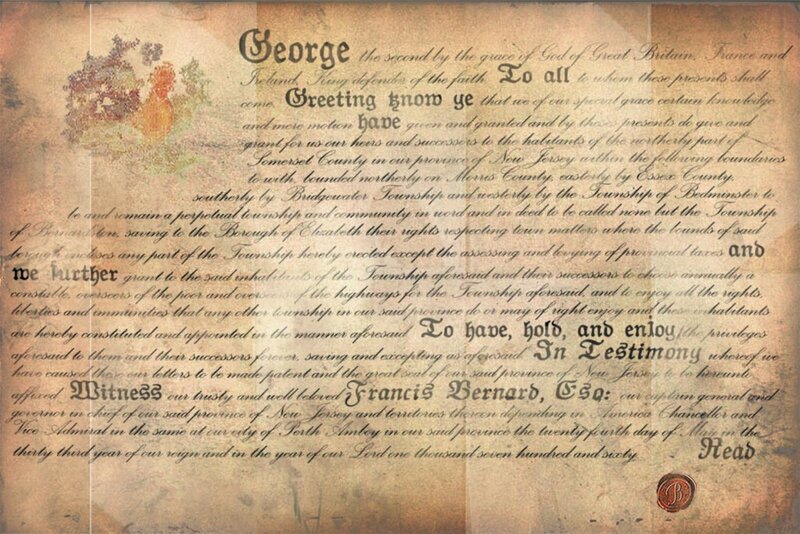 This is an actual photograph of the original Bedminster Charter (1749) – now in the possession of the Forbes Family. Being similar in text content, it’s assumed that the Bernardston Charter most likely looked very similar. 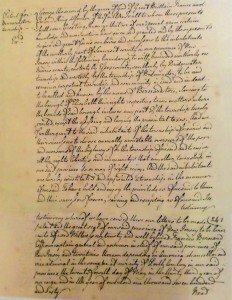 It is then added that, without doubt, the charter dates from “about the same time as that of the township of Bridgewater, which was in 1749.” But it seems that the original charter was not destroyed, but is in safekeeping. This charter is identical in language in its preamble and the attestation by Governor Belcher with the charter of the township of Bridgewater, printed in the historical work above mentioned (on p. 659), and is of the identical date with the charter of Bridgewater. 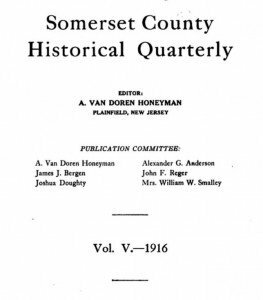 (Somerset Historical Quarterly – 1918). From its endorsement this charter was recorded at Amboy in Book C, No. 2 of Commissions, p. 186, by Thomas Bartow, Secretary, and the fees were paid by John Broughton, Esq. These fees were, to the Sec- retary for the Patent, £3; fiat, £0.3; Governor’s fees for the seal, £1. Union Hook & Ladder and Martinsville departments, the Peapack- Gladstone, Pottersville, Bernardsville and Chester volunteer fire companies all responded to a fire at the Forbes offices on Route 206 in Bedminster on Monday afternoon at 1:30pm. According to Jack Reeves, chief of the Union Hook & Ladder volunteer fire company, said the fire broke out in the center of the building’s basement and spread horizontally along beams and vertically along vents and pipes. Although there were some visible flames in the basement, he said, most of the fire smoldered behind walls and under floors. Six Companies Respond Reeves said it took approximately 70 volunteer firefighters from six area departments about two hours to bring the fire under control. Many people feel the historic Bedminster Charter belongs to the public and not it a private collection. In 1999, Bedminster Committeeman Norman Lapidus agreed with fellow Committeeman Don Cross that it would seem “ungrateful” of the township to try to obtain ownership of the charter through any means other than discussion and negotiation. In 1998 when the Forbes offices were sold to the Advance Group, the Charter was moved to New York City.Back in 1999, the 250th anniversary of the Charter of Bedminster, Lapidus suggested that township officials contact the Forbes family to see if they would consider donating the charter to the township. Another possibility, he said, would be collecting contributions from township residents to buy the charter at fair market value. A third possibility, committee members said, would be to ask the Forbes family to place the charter on permanent loan to the township. That way, they said, it could be kept on display for residents to enjoy but the Forbes family would have the right to reclaim it at any time. (Bernardsville News 6/10/1999). Nothing ever materialized. Nothing has been done since. The township’s original charter did come home for a visit during the municipality’s 250th anniversary celebration. The charter was on exhibit at the Clarence Dillon-Public Library for a short duration that started on May 8,1999. It has since been out of sight and back in possession with the Christoper “Kip” Forbes family. Read [Secretary of the Province]. As part of the 250th celebration of the Charter of Bernardston in 2010, a search was done to locate what could be a copy of the original charter. In what’s known as the Commissions Book in Trenton, NJ on pages 240-241 are a recorded transcript of the original Bernardston Charter along with the appropriate recording fees (later pages). Based on the construct of the original Charter of Bedminster, this rendering merely states the words of the Charter and is a mere journal entry vs. a replica of the original Charter of Bernardston. Based on our research, the Bernardston Charter of 1760 was destroyed in a fire at the Township Clerk’s residence back in 1850. All representative documents since are replicas of what the Charter might have looked like. But then again……Bedminster’s Charter was found! And not only was it found, it’s very clear now that all three documents followed a simple, and often copied template. Funny how that works. This is why it was really quite easy to recreate the Bernardston Charter.